July 15, 2010. Tags: ESPYs, LeBron James spoof, satire, Steve Carrell LeBron James, Steve Carrell Paul Rudd LeBron ESPY spoof. Celebrities, Comedy, Entertainment, Popular Culture, Sports. Comments off. God Bless. 80 years old, what a life he led! Man how we loved to hate George in NYC back in the day! (70s!) But of course he rebuilt the team~ oh boy did he! No estate tax since the Critters are so incompetent BTW. God Bless the family and the team. 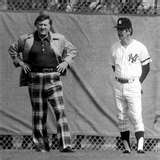 I have always been a huge Mr October fan so when Steinbrenner would fire Billy and Reggie would get upset so would I, lol.,.. July 13, 2010. Tags: Billy Martin, George Steinbrenner, MLB, New York Yankees, NY Yankees, Reggie Jackson, Seinfeld Steinbrenner. Celebrities, Entertainment, Popular Culture, Sports. Comments off. June 26, 2010. Tags: Landon Donovan, Landon Donovan goal, Tim Howard, US vs Ghana live blog link, US World Cup Soccer, World Cup 2010. Celebrities, Entertainment, Politics, Popular Culture, Sports. 1 comment. June 26, 2010. Tags: AZ Diamondbacks, AZ Diamondbacks Edwin Jackson throws no hitter against Tampa, Baseball, MLB. Entertainment, Popular Culture, Sports. Comments off. May 9, 2010. 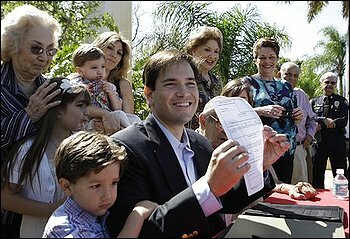 Tags: happy mother's day, Lou Gehrig, marco rubio mother's day message. Popular Culture, Sports. Comments off. May 5, 2010. Tags: Big Red, Diane Lane, Secretariat. Entertainment, Popular Culture, Sports. Comments off.